The music and magic that Lynyrd Skynyrd created in the 70’s has outlasted triumph and tragedy and will carry on even after the last Lynyrd Skynyrd band members retire. Without having a hit for some time now, Lynyrd Skynyrd continues to sell out concerts no matter where they play, because it’s about more than just the music, it's about an unspoken bond between their fans, that when they come together, 10 or 20,000 strong, anywhere in the world, they become a family. 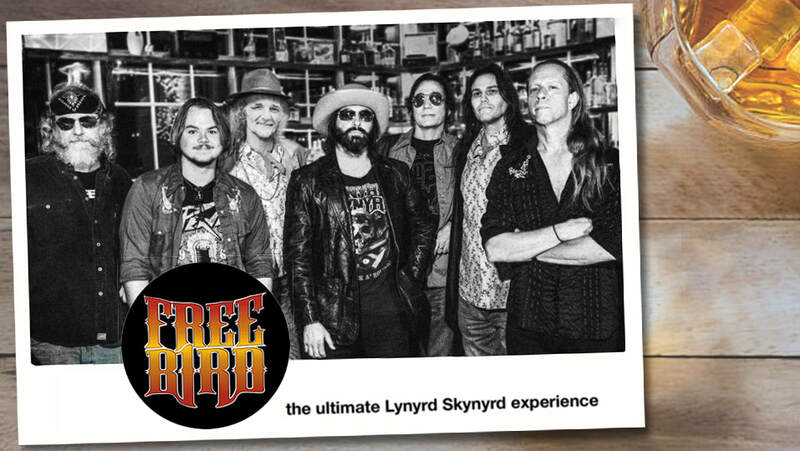 ​Freebird’s sole intention is to keep this southern rock family communion alive by staying true to the original recordings and respecting what Ronnie Van Zant and Lynyrd Skynyrd started. The band prides itself on performing with the same raw energy and likeness as the band did itself in the 70’s. Freebird plays true to the record versions of the music that defined the genre of southern rock. These are the songs that went around the world, grabbed the attention of lovers of great music everywhere and are still heard regularly. When you go to see Freebird, it's not just another concert. It's a southern rock family reunion. Get ready to Fly High Freebird Nation!